This is a guest post by Noemi Pollack, founder and CEO of The Pollack PR Marketing Group. Somehow New Year’s and end-of-year lists have become the norm. There seems to be a compulsion at this time of the year to round things up — a sort of overview of the best of everything as well as the worst of everything. The lists are ubiquitous and are grouped into all sorts of categories. Of course, these are subjective as to who is doing the choosing and under what criteria… But there is a thirst for these, a curiosity as to who will make the top innovators of the year list, or newsmakers, films, books, videos and such. Maybe it’s about nostalgia for what could have been and wasn’t. And then there are those outlandish ones, like the best and worst dressed people, the biggest losers, celebrity headliners as to who did what, to whom, and who got paid the most per movie, etc. Still, it attracts. About six years ago, we got hit by the compulsion “bug” as well and got into the game and added our own list of “things.” We called it the “Ten PR Defining Moments.” Considerations for making our list was not so much the PR moment itself, or a blip that made the news in that year, but rather their implications, such as lessons learned, or their lasting impact on our industry, or the changes the moment might have created, even if only slightly. We actually find the selection of the PR Moments a daunting task, specifically because the criteria which we have set for ourselves forces us to exclude all of the sensational flash-in-the-pan news items that flood our newsfeeds. As such, we don’t include headline grabbers like this year’s about Ryan Lochte and Kim Kardashian. In PR speak: Yes, they generated a lot of media impressions, but the implications are “skin” deep. And so, after much reflection and evaluation, our picks for our seventh annual 10 PR Defining Moments of 2016 were taken from news happenings that would make the PR world notice and potentially, change approaches. For example, out first pick was the well-known privacy battle of Apple vs. the FBI, when the company set a precedent that customer loyalty and privacy shouldn’t be overlooked. 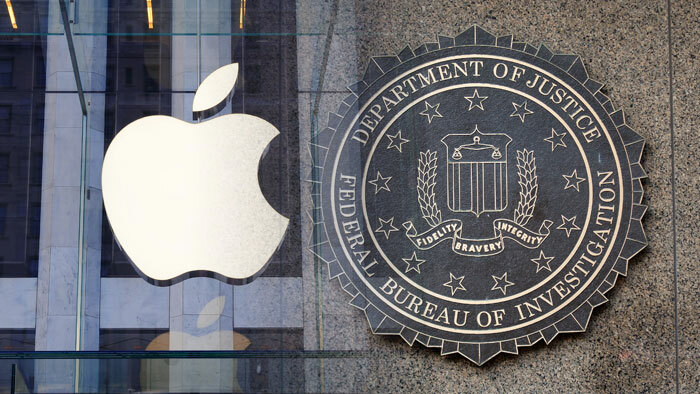 The FBI–Apple encryption dispute set an example as to how far reaching a company would go to protect its customers’ future privacy. When for the first time in almost 60 years, CoverGirl’s newest cover girl was, in fact, a CoverBoy, we recognized that brands are changing the way they are messaging products, making way for gender-neutral marketing – another precedent set as to brands’ marketplace behaviors. In what we titled, Catch ‘Em All, the Pokemon Go app showed PR practitioners that augmented reality can be a tool. Imaginative PR practitioners could fly with this. A leaked Spectacles commercial from Snapchat, gave us an eye opener as to how social media platforms need to update content and features to keep from being antiquated. What we called Social Spectacle, the leaked video introducing Snapchat’s eyewear, was a particularly creative example of what is at the forefront of change. Paid Influence – Social media celebrities cashed in, but marketers began to question the influencer marketing bubble. Influencer marketing was reaching its peak of use, when earned influencer marketing and paid influencer marketing questions arose. It put a dent into widespread uses and begged questions as to preexisting relationships to promote a product or influencers who promote a product to further their own personal social growth. Machines Rising – From automated shopping to customer support chatbots, brands invested in AI to reach customers. And yet, troubles arose after Twitter users taught Microsoft’s AI bot Tay, racism. The impact of how this could get misused was daunting–the gains made could ultimately destroy. Digitization has yielded increased data breaches from sources like Wikileaks and The Panama Papers. Calling this PR Moment Got Hacked – the leak signaled something else that was a big deal but went unheralded: The official WikiLeaks-ization of mainstream journalism; the next step in the tentative merger between the Fourth Estate, with its relatively restrained conventional journalists, and the Fifth Estate, with the push-the-limits ethos of its blogger, hacker and journo-activist cohort, in the era of gargantuan data breaches. The massive wrongdoings of respective CEOs of Theranos, Mylan, Fox News, Samsung, Wells Fargo and Volkswagen, were going to get a reprieve (of sorts) as the year to turns over, putting behind them reams of accusations that deterred their forward steps. It seemed as close to sinking ships as anything. Traditional and new media platforms continued to merge, blurring lines and challenging brands to break through the marketing landscape. And who could not point to the proliferation of fake news as a newbie in the marketplace, putting post-presidential election, Facebook and Google under pressure, as well as under fire, for facilitating the sharing of fake news. Noemi Pollack is the Founder and CEO of The Pollack PR Marketing Group (PPMG), a 31-year-old mid-sized, multi-specialty agency that develops and implements communication platforms and programs for innovative start-ups and Fortune 500 companies, alike. PPMG is a partner in The WORLDCOM Public Relations Group, a partnership of over 140 partners, globally.